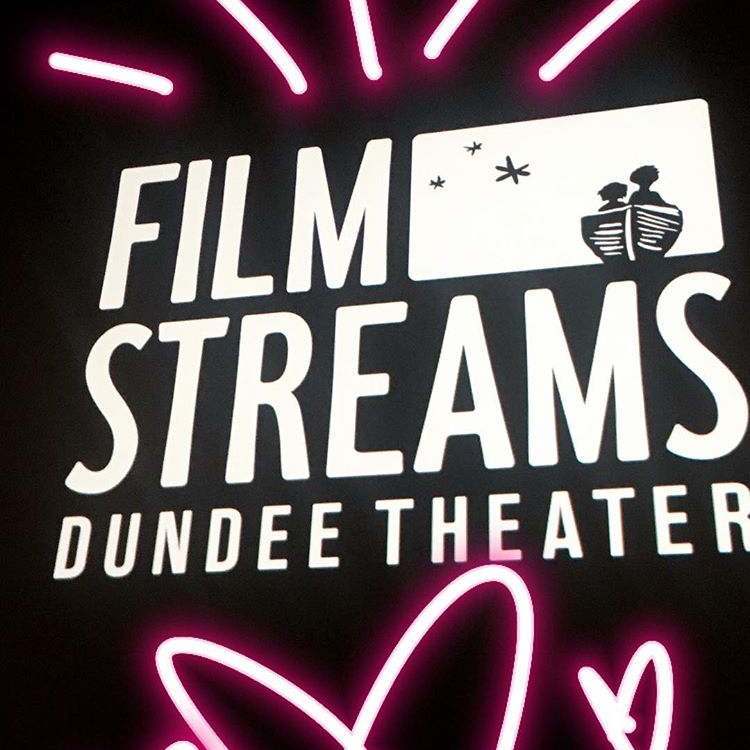 Beginning in 2016, Film Streams led the renovation and reopening of the historic Dundee Theater on 50th and Dodge in midtown Omaha. 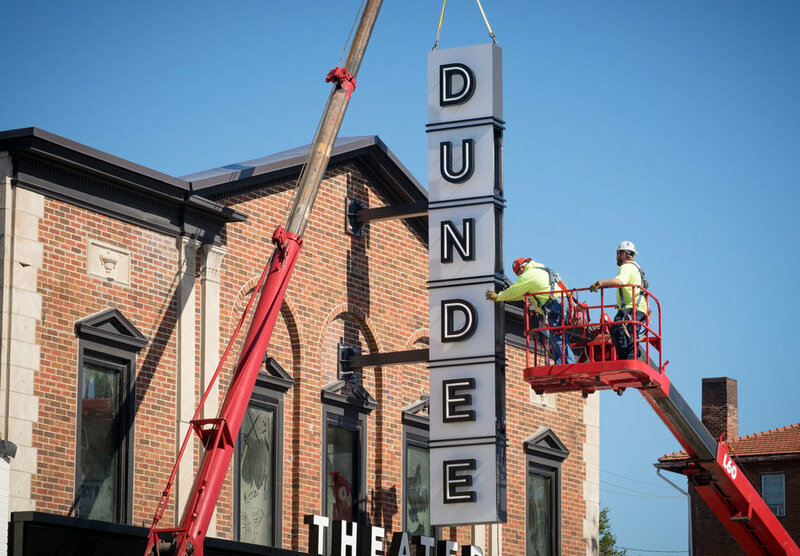 By far the most important aspect of the Dundee Theater signage package was the marquee and digital screens along Dodge Street. When illuminated, it’s a magical marker for the theater as well as the neighborhood. The main entrance is in back of the theater and included its own unique signage treatments to welcome visitors. The signage package for the interior included large dimensional type, donor wall tracking system, magnetic tiles for concessions and movie times, and hot pink neon sign. Local artists were commissioned to create pieces based on important films in the history of the theater (curated by Peter Fankhauser). The blue of the main auditorium was inspired by the original seating while the microcinema family of pinks referenced the updated Film Streams’ brand. The exterior signage of the theater was designed for visual impact and directional guidance. The main marquee was inspired by the original Dundee sign while mixing in modern digital technology. Black and white was the primary palette with special color uses when appropriate—the purple neon FILM sign lit up at night or the Red Balloon as a nod to the 1956 classic film. The entire lot on the corner of 50th & Dodge has a host of different tenants, each one getting type treatment painted on the side of two buildings. The 1948 classic Bicycle Thieves also received a shoutout with the ladder and bicycle painted next to the tenant grid. 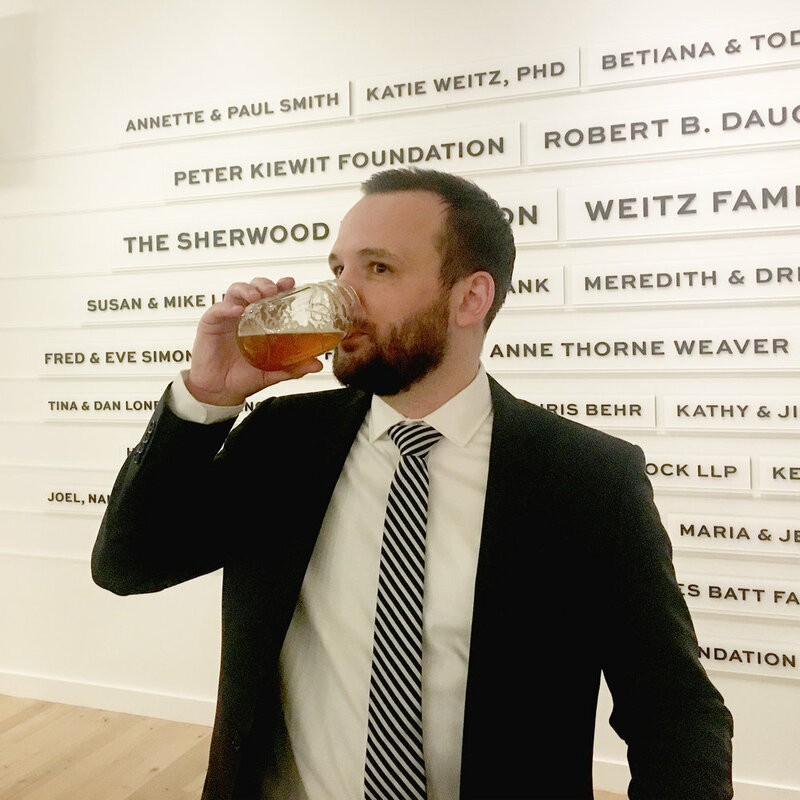 In addition to all exterior, interior, and site wide signage, design work also included Grand Reopening materials which included the Omaha premiere of Alexander Payne’s Downsizing. December 15, 2017 was quite an evening. The culmination of an insane amount of work over more than a year and a half. A celebration complete with community support, fine cinema, good drink, and a downsized menu of food items inspired by the film. Tiny popcorn anyone? “It wasn’t just a sign marking the business; it was a sign welcoming you to a part of town."